Cali has some terrific hotels from first class boutique accommodation to cheap and cheerful backpacker hostels. The best place to stay in Cali is Acqua Santa Lofts Hotel. 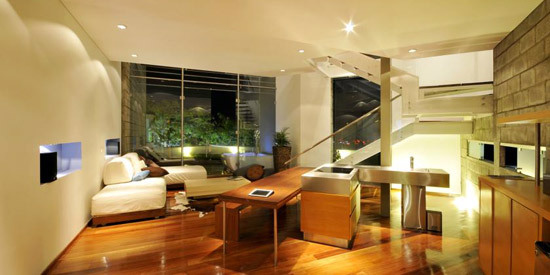 The rooms are amazing with polished wooden floors and the balconies offer wonderful views of the city. The hotel also has an outdoor swimming pool as well as a modern gym and a restaurant. 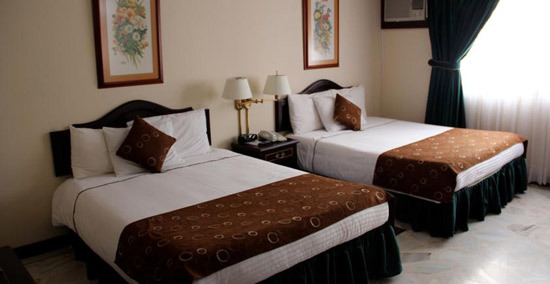 For something a little cheaper but still of excellent quality try Hotel San Fernando Real. It has an outdoor swimming pool, spa facilities and an impressive cinema room. The best value for money apartments for rent in Cali are Aparta Estudios Carrera. They are incredibly clean, comfortable and well-equipped. All apartments are air conditioned and free private parking is also available. The best hostel in Cali is Pelican Larry. It has good facilities and a small garden. The rooms are clean and comfortable. The owners are friendly and can help you organise activities and tours in and around Cali. It's located just a couple of minutes walk from Avenida Sexta so it's perfectly located if you're looking for bars and restaurants. Another good option is Sunflower Pacific Hostel. The communal areas are good and the bedrooms kept clean. The hostel also provides a good service organising tours and excursions. Find out more about Cali, the Salsa capital of Colombia.